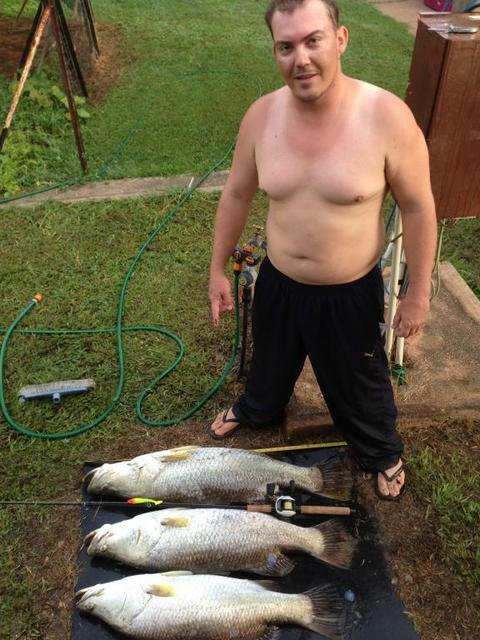 Land Based, March 2014, 108cm, 101cm & 88cm Barramundi. Same soft plastic Squidgy!!! Macarthur River Crossing at sunrise Chronarch 200e7 & G.Loomis GL3. Magic morning stopping these beasts before they swim through the culverts.